If there is one thing Mumbai is known for, it is the fast pace of this city. The city that never sleeps, Mumbai and Mumbaikars are always in a hurry to get from one end to the other and do not like to waste even a minute. This sure makes them efficient but every city dweller needs to break free from time to time to relax and unwind. And Mumbaikars are blessed because Mumbai is home to several weekend getaways that are a few 100 kilometres away and make for a pleasant long drive. These offer a respite from the mundane and fast city life and are a breath of fresh air that rejuvenate one’s senses, infusing the much-needed dose of relaxation in every traveler. Mumbai is blessed with some stunning weekend getaways nestled in the Western Sahyadris. Come monsoon and these places become lush green with waterfalls breaking out of numerous hillocks and the weather is so pleasant that staying home becomes a crime. 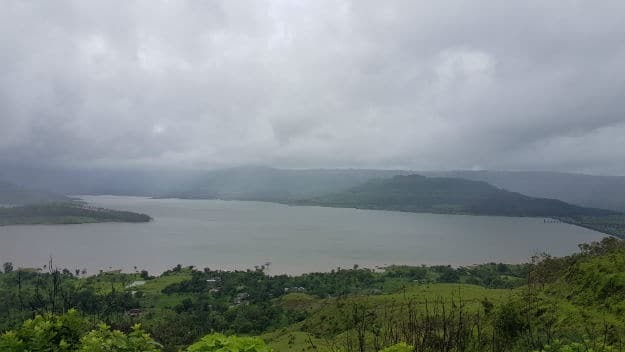 Timeless hill stations like Lonavala and Mahabaleshwar are visited by tourists all year round while places like Malshej Ghat and Alibaug become spectacular during monsoon. So if you are wondering which destination to pick for your next weekend trip, here's some help. Bookmark this page and find all the information you need about getaways from Mumbai. A quaint hill station, Matheran retains its old-world charm and is a popular weekend getaway for families. The ride to the hill station is also a fun one as vehicles aren’t permitted after a certain point. You park your car and walk your way up to the hill. Or, you can also hire ponies. Earlier a toy train ride from Neral to Matheran made for a scenic adventure but the service has been suspended this year onwards following two mishaps. Another thing that’s unique to Matheran is its red mud and the lack of proper roads which transport you back in time. Here’s what you need to know to plan your weekend getaway to Matheran. Where to stay: Matheran being a popular destination offers hotels for every budget. Sun n Shade Resort (+91 9421158261), The Verandah in the Forest (011 46661634) and Adamo Resort (022 40628899) are a few good stays for families. 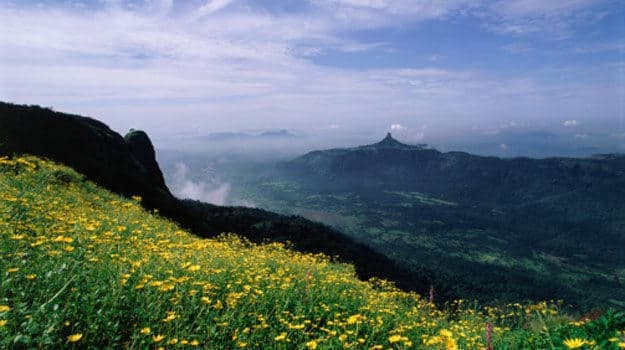 Things to do: The highlight of your Matheran trip will be the trek to the hill admiring the natural beauty of the place. 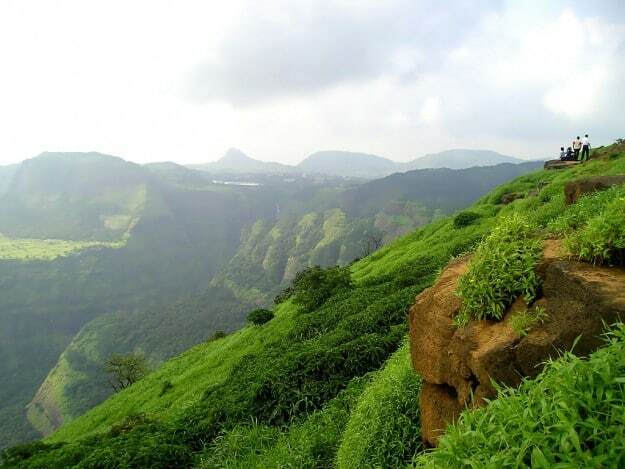 Though most tourists visit Matheran in the summer or winter, you can also visit in the monsoon when it is covered in green. Some adventure sports like rock climbing and paragliding are also available depending on the weather. Tips to keep in mind: Remember to wear comfortable sneakers as you will have to walk a lot. If you are unable to, you can hire ponies or the hand-held carts that take you to the top. You can park your car at Dasturi Car Park or if you are taking the train, get off at Neral Junction. You can take a Karjat-bound train from CST and get off at Neral. Lonavala is Mumbai’s most popular getaway. Located extremely close to the city, the hill station is its most frequently visited holiday spot. An easy drive from Mumbai and Pune makes it a hotspot for those looking for a quick break from the city. Be it the beautiful views of the valleys or the pleasant weather, Lonavala serves as a great getaway from the fast pace of the cities. The chikki and fudge of Lonavala is famous all over India and cannot be missed. Khandala can also be covered on the same trip. Where to stay: Lonavala is packed with various hotels that offer basic as well as luxury stays. Zara’s Resort (02114 269163), Lonavala: Under the Over (02114 279503) are mid-range accommodation while Fariyas Resort (+91 2261119400) and The Machan (+91 22 26716033) are perfect for the luxe traveler. Things to do: Lonavala offers a pleasant weather and ample of natural beauty. Tiger Point is one place to visit to get a panoramic view of the hills. Sip chai and eat pakodas or Maggi as you admire nature’s bounty. Bhushi Dam is another place to visit during the monsoon. If you need an adrenalin rush, go to Della Adventure Park (1800 3070 5050). Tips to keep in mind: You can drive down to Lonavala in your own vehicle or reach there via bus or train. From the station or bus depot, you will have to take a rickshaw to reach your hotel. When here, do sample Lonavala’s chikki and fudge. 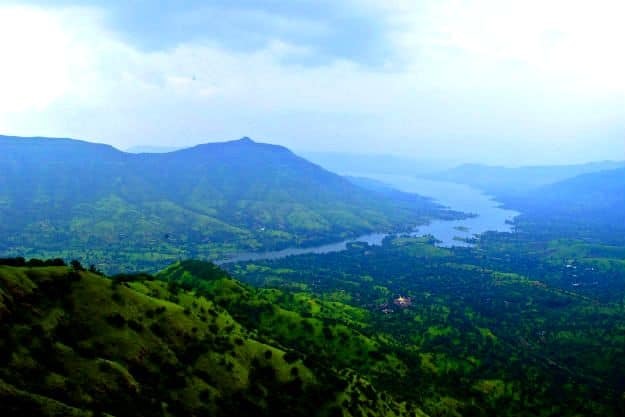 Mahabaleshwar is a beautiful hill station that offers panoramic views and the journey to reach here consists of winding roads of the Western Ghats. The cool climate and various sightseeing points make it a perfect getaway from the city. If you want something more family-friendly, you can stay at Blue Country Resort (02168 241521) or Fountain Village (02168 260135). 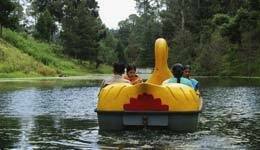 Things to do: You can do a lot in Mahabaleshwar like going boating at Venna Lake. Mapro Gardens is perfect to sample strawberry and cream and eat a hearty meal. They also have a chocolate factory. Visit Wilson Point to catch the rising sun and Elphinstone Point to watch a beautiful sunset. Arthur’s Seat offers amazing panoramic views. You can also visit Panchgani en route and go to Table Land where many Bollywood movies have been shot. Tapola lies 30 km away from Mahabaleshwar and can be covered in the same trip. Tips to keep in mind: Mahabaleshwar does not have a good public transport system so it is best to rent a car or take your own vehicle. When here, do visit a strawberry farm or garden and sample fresh strawberry. Corn dishes and milkshakes are also quite popular in Mahabaleshwar. Maharashtra’s prime destination for white water rafting, Kolad is perfect for those who love the water and enjoy trying adventure sports. Come rain or sun, Kolad hosts white water rafting activities all around the year. However, this isn’t the only thing that you can do in Kolad. Here’s what you should do when here. Where to stay: From tents to homestays to cottages and hotels, Kolad offers different types of accommodation to travelers. Many tour operators offer combo packages of adventure sports and stay. If you prefer something with more than just basic amenities, your options are River & Forest (022 42231111), The Lake Resort and Doctor’s Farm (022 23671643). Things to do: The most popular thing to do in Kolad is adventure sports. You will be given instructions prior to the sport so it doesn’t matter if you are a beginner or an expert. Apart from this, you can also visit Bhira Dam and Kunda Caves near Kolad. Tips to keep in mind: Kolad is preferred weekend getaway for adventure seekers who love the thrill that comes with it. One can reach Kolad via road or rail but it is best to go in your own vehicle. The nearest railway station is Murud which is 43 km away from Kolad and you will have to hire a cab or rickshaw from here. Book in advance to avoid disappointment after you get there as it is a popular destination. 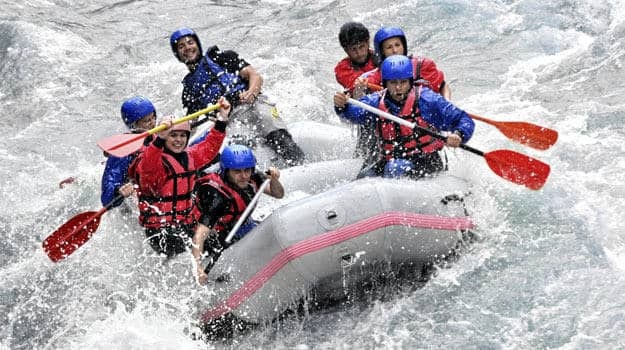 Operators like Adventure Kolad (8657195551) and Blue Bulb (022 30770 185) offer river rafting packages. One of the newest spots on the tourist map, Lavasa is essentially India’s first planned hill station and a smart city. It is known for its artificial lake and its setup that is similar to Portofino town in Italy. Thanks to its proximity to Mumbai and Pune, Lavasa has become a popular getaway for travelers. Here’s what’s in store for you in Lavasa. Where to stay: Lavasa has limited accommodation options and all of them are pretty close to one another. Waterfront Shaw (020 66541414) is right next to the promenade while Fortune Select Dasve (020 67904444) is a little further away. If you want a panoramic view, opt for Ekaant the Retreat (020 67983000). 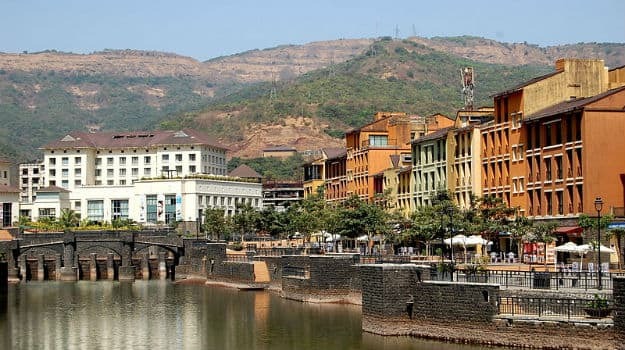 Things to do: Lavasa is known for its pleasant climate. Once here, you can try adventure activities and water sports offered in and around Lavasa. Visit the promenade where you will find organizers for all of these things. Tandem bikes are also available or you can take a stroll too. There are many food joints lining the promenade and you can savor some delectable food. Lavasa is perfect for a weekend getaway for couples as well as families. Tips to keep in mind: It is best to visit Lavasa in your own vehicle or a rented car as reaching here by other means isn’t easily feasible. Jawhar is a quaint hill station in Maharashtra located at an altitude of 518m. It serves as a pleasant getaway from the heat and humidity of Mumbai. It also has a vibrant cultural heritage that takes you back in time. The famous Warli paintings are a landmark of this region. Jawhar is beautiful during the monsoon season as it becomes lush green with lovely views of valleys and waterfalls. It is ideal for a weekend road trip from Mumbai. Where to stay: Jawhar has lesser accommodation options than other popular tourist spots but you can opt to stay in a homestay and experience living with locals. Or, book a room in hotels like Symphony Lakeview Resort (+91 9324412668), Sunset Point Resort (+91 9272057333) and Shanti Sarovar Resort (08080175050). Things to do: Some of the attractions worth checking out in Jawhar are Sunset Point, Hanuman Point and Bhopatgad Fort. You can also take the tribal heritage tour here which takes you through the ancestral residence of the tribal people and lets you in on their customs and traditions. Jawhar is full of trekking options all around it so if you’re an adventure lover, Jawhar is your paradise. Tips to keep in mind: Don’t forget to get back souvenirs of Wali paintings which is made using rice paste and a traditional art of Jawhar. It is best to explore Jawhar in your own vehicle but you can also reach here by taking a MSRTC bus. Or, get off at Igatpuri railway station and take a taxi to Jawhar. One of Maharashtra’s most popular forts, Murud Janjira is an excellent getaway from Mumbai for those interested in trekking. The route is extremely scenic and the drive is totally worth it. 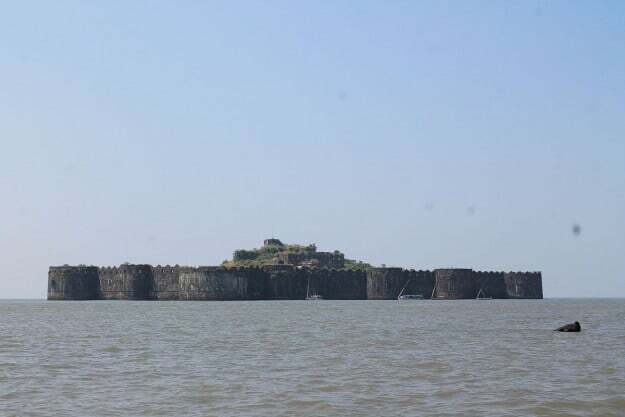 Murud Janjira is an island fort. Chhatrapati Shivaji Maharaj tried to capture Murud quite a few times, but never succeeded. Famous for its strategic location with spectacular views and marvellous architecture, Murud Janjira is an ideal getaway for history and nature lovers. Where to stay: Murud has a few good accommodation options thanks to the growing tourism and popularity. You can stay at Golden Swan Beach Resort (+91 9223594604), Sea Shell Resort (+91 9833667985) or Sand Piper Resort (022 2642 0883). 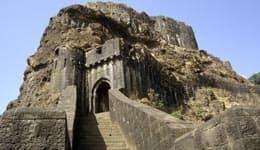 Things to do: The main attraction in Murud Janjira is the Janjira Fort that the Marathas failed to capture including Shivaji and later his son Sambhaji. 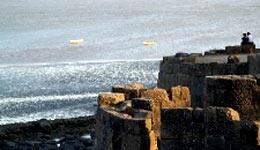 They built a sea fort just northeast of Janjira and called it Kasa Fort. You can visit this one too. 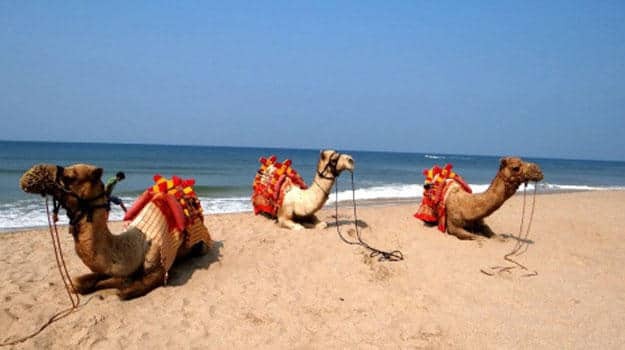 Other places of interest in Murud Janjira are the Murud Beach, the Nawab Palace which is six kilometres away from Murud and Datta Mandir which is on a hill and has a three-headed idol. 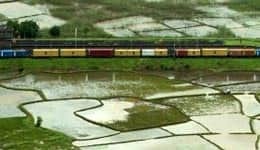 Tips to keep in mind: The nearest railhead to reach Murud Janjira is Roha on the Konkan railway line. By road, you can need to take the Mumbai-Goa highway via Revdanda near Alibaug. The roads could be bad in the monsoon so avoid going during the rains. Nashik has become India’s wine capital thanks to the number of vineyards in the region. This makes it a popular weekend getaway especially for couples and youngsters. Did you know Nashik has one of the coldest winters in Maharashtra? The pleasant weather and the long drive make it a blissful weekend getaway from Mumbai. Nashik also attracts a lot of pilgrims for its religious significance. Where to stay: Nashik offers budget as well as luxury properties. Soma Vine Village (070280 66016) has villas with private pools while Sula Vineyards (0253 3027777) has beautiful rooms with ample privacy. The Gateway Hotel Ambad by Taj (0253 6604499) is another property you can stay at. 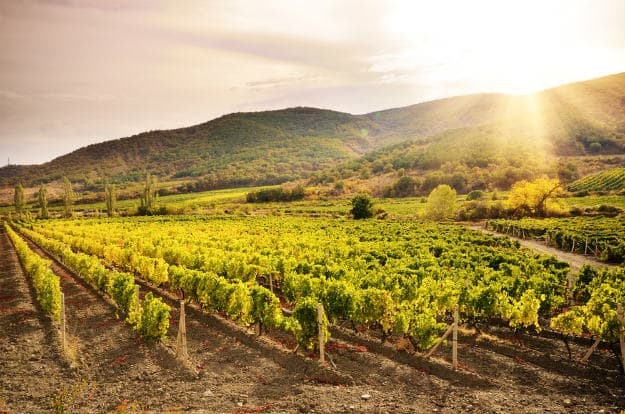 Things to do: Nashik is dotted with vineyards like Sula, Grover, Soma, etc. You can take a tour of them and even stay here or enjoy a romantic evening with a bottle of wine and great company. Nashik is also one of the places where Kumbh Mela is held and is only nine kilometres away from Trimbakeshwar, home to one of the 12 Jyotirlingas. Shirdi is also close to Nashik, it lies 81 km ahead and many people visit the Sai Baba Temple on their Nashik trip. Apart from these, you can go to Ram Kund and Mukti Dham. Tips to keep in mind: The drive to Nashik isn’t a smooth one as some stretches have bad roads so drive carefully. It is also advisable to stop at rest stops as you will not find restrooms or food ahead. Phaltan is a name you have probably not even heard of. It is located around 50 km away from Satara in the state of Maharashtra. Phaltan is a rural stretch right in the middle of nature. From beautiful pomegranate farms to wonderful green grasslands, Phaltan has it all. So if you are looking for an offbeat getaway this weekend, you should consider Phaltan. Where to stay: Since Phaltan isn’t a very popular tourist spot yet, the accommodation options are limited but you won’t be disappointed. Jakson Inns (02166 262111) is a prime property in Phaltan. It also organizes tours to the nearby tourist spots in Phaltan. Hotel Maharaja Executive (+91 9881198811) is another hotel you can check into when in Phaltan. Things to do: Phaltan hastourist attractions like the amazing and picturesque Thosegar waterfalls, the Pussegaon windmills with a great mountain backdrop and the Kaas pathar plateau which is known as the Valley of flowers of Maharashtra. You can also visit one of the farms to get a taste of daily life in this region or take a tour of the Rajwada Palace which was home to Shivaji Maharaj’s first wife, Sai Bhosale. Tips to keep in mind: The drive is slightly longer than other weekend getaways so make sure you leave early morning so that you can reach on time and enjoy the natural beauty of Phaltan. It is best to take your own vehicle to this hill station. A pilgrimage center for the Zoroastrian community, Udvada is a town in Gujarat but makes for a weekend getaway from Mumbai as well. 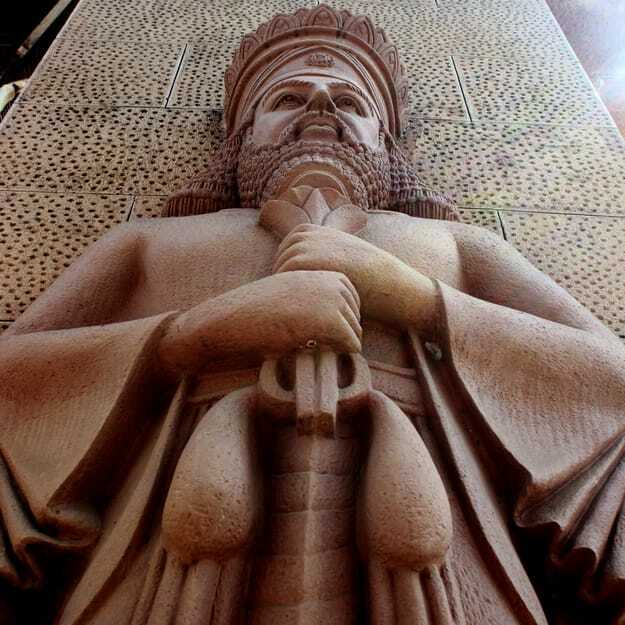 one of the tiniest communities in India, Udvada is home to Parsi families and they come here to pay their respects to the oldest fire temple in the country, the Atash Behram. The town’s economy and tourism thrives from this fire temple and welcomes pilgrims every weekend. The intrinsic architecture and authentic Parsi cuisine found in Udvada will transport you back in time and give you a glimpse of the life of this tiny community. Where to stay: There are few stay options in Udvada and if you are looking for an authentic Parsi experience, then we recommend a stay at Globe Hotel (0260 2345243) or Ashishwan Hotel (+91 9925558138). Both of these have a rather simple facade but you will be charmed with their food and comfortable stay. The tariff is usually inclusive of all meals that are of course, Parsi cuisine. Things to do: Udvada is famed for the Atash Behram fire temple however only Parsis are allowed to visit it. You can take photographs of its architecture and admire the historic significance of this place. There are narrow lanes with houses as old as 100 years in this sleepy town that you can see. Sample some Parsi food and then go to the beach. Tips to keep in mind: Udvada is perfect for history lovers and those who want a peek into the Parsi community. The town does not have many sightseeing places but it transports you to a different era. If you want a do-nothing getaway where you can wander around town, visit Udvada. A sleepy beach town in Maharashtra, Ganpatipule is well-known for its Ganesh temple and attracts thousands of pilgrims every week for a visit to seek the elephant god’s blessings. But it also makes for a relaxing weekend getaway thanks to the pleasant long drive and a pristine white sand beach greeting you in the end. Where to stay: Ganpatipule has limited stay options when it comes to good hotels but you can also opt for homestays offered by the locals. MTDC’s accommodation is pretty neat and you can book a room online on their website. The Fern Greenleaf Resort (02357 235533) is a prime property in Ganpatipule. Things to do: There are two things that attract people to Ganpatipule: the temple and the beach. When here, pay a visit to the 400-year-old Swayambhu Ganpati Temple. It is one of the few temples where the idol is facing the west. There is also a hill behind the temple which is shaped like Ganpati and offers panoramic views of the beach. Your trip is incomplete without a visit to the Ganpatipule Beach. You can take evening strolls on the 6 km long beach or try water sports that are offered here. Tips to keep in mind: The drive is a long one and it is best to go to Ganpatipule on a long weekend to spend more time at the destination. However, it can also be covered in two days. Book your stay in advance as accommodation options are limited. Just a short drive away from Mumbai lies Karjat, a paradise for trekkers and nature lovers. The monsoon months are the best time to explore this part of Maharashtra that is literally in Mumbai’s backyard. 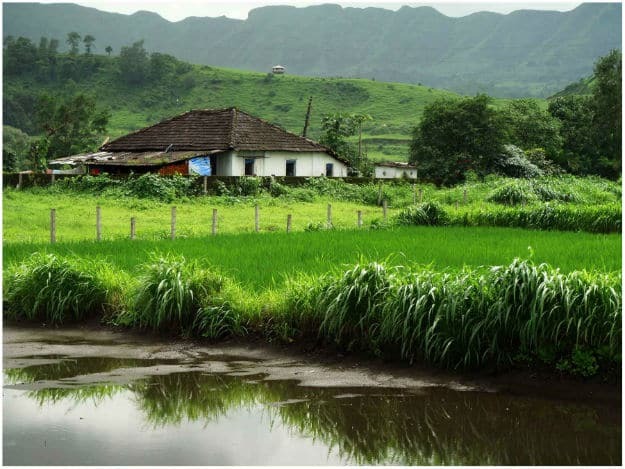 The rains paint a green cover on Karjat, making it a beautiful getaway to escape to over the weekend. Here’s what Karjat has in store for you. Where to stay: You can find budget accommodation right outside the railway station and bus stop. If you want something more than a basic room, you can book a stay at Modis Resort (+91 9209606123), Radisson Blu Resort & Spa (02148 240240) and Mohili Meadows Resort (+91 9223398467). Things to do: Karjat is a popular getaway for adventure lovers thanks to the trekking routes it boasts of. 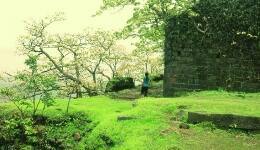 Chanderi Fort Trek, Matheran Trek via Rambagh Point and Peth Fort Trek are the three treks you can go for in Karjat. If you aren’t much of a trekker, go to Morbe Dam which is 10 km away. Here you can go boating or just have a picnic with your group. Visit Kondana Caves that were once a stay of Buddhist monks. If you want something more adventurous, go to Ulhas Valley and river where you can try sports like rock climbing, white water rafting and hiking. Tips to keep in mind: You can also camp in Karjat if you do not want to book a room. Contact Attra Holidays and Camping Farm (+91 8879772251) for details. Pune has come a long way and has managed to become a perfect blend of a cosmopolitan city that clings to its historical past as well. The Maratha Empire flourished in Pune and you will find its influences right from the city’s architecture to its food. While Mumbaikars have some of the best clubs and pubs in the city, it is the breweries and pleasant weather that draw them to Pune. 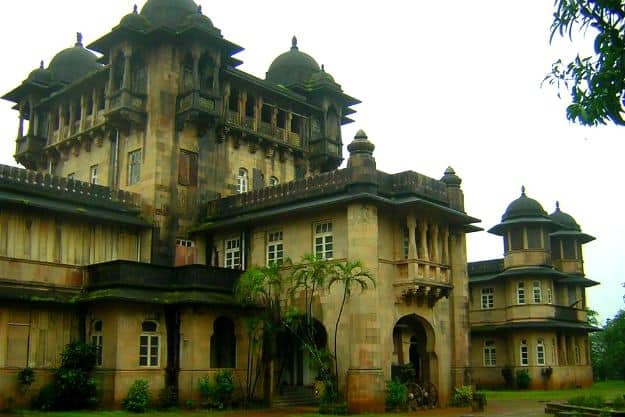 A visit here is incomplete unless you see Pune’s past captured in its historical monuments. Here’s what Pune has in store. Where to stay: Pune has hotels for every budget and even dorms thanks to the number of students who come here. While Hyatt Regency (020 6645 1234), JW Marriott (020 6683 3333) and The Westin (020 6721 0000) are prime properties, it also has budget and mid-range hotels. 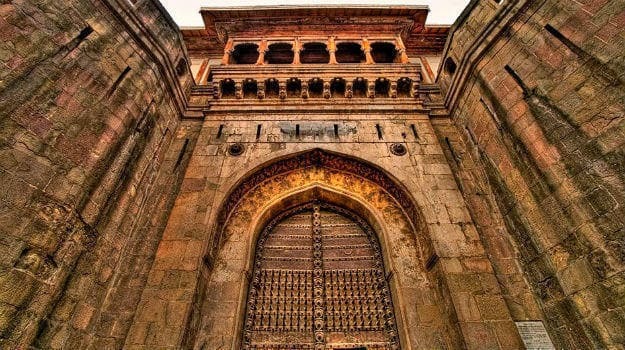 Things to do: Visit the Shaniwar Wada which was the seat of Bajirao and Marathas. Parts of Mastani Mahal can be found in Kelkar Museum. Aga Khan Palace is famed for its amazing architecture and should be in your itinerary. Parvati Hill is a vantage point to admire the city’s beauty and the National War Museum is dedicated to martyrs in the post Independence era. To get a taste of Pune’s nightlife, visit Koregaon Park. Tips to keep in mind: Pune is infamous for its traffic and unruly driving so be careful when you drive here. You will find more two-wheelers on the road than cars. If you are a beach bum who loves to escape to the sun, sand and sea pretty often, Alibaug is the weekend getaway for you from Mumbai. Goa is about 10 hours away and Alibaug fills the gap with its beaches and slow-paced life. A perfect destination for a do-nothing vacation, Alibaug offers respite to Mumbaikars who are also in a hurry in the city. Not just this, it also offers a slice of history the many forts dotting the coastal region. Where to stay: From homestays to guest houses to hotels to suit all budgets, Alibaug has many accommodation options. The rich and famous of Mumbai also own a weekend home in Alibaug due to its close proximity. Radisson Blu Resort & Spa (02141 302400) is one of the best properties here. Dewdrop Retreat (02141 220 160) is another good property. 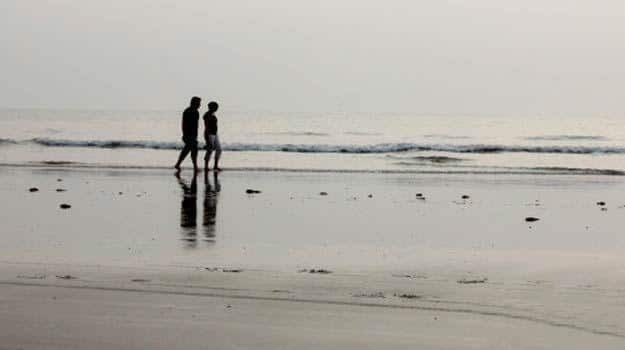 Things to do: Alibaug is the perfect place to go and just relax, hit the beach and laze around. There aren’t many sightseeing attractions in Alibaug. But you can visit Kolaba Fort or the Janjira Fort in Murud. 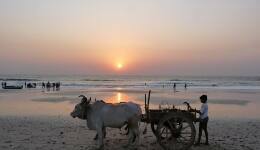 Beaches like Kihim, Kashid and Alibaug promise a wonderful time. Tips to keep in mind: Even though Alibaug is only a short distance away from Mumbai, you can get stuck in traffic and some stretches have bad roads that can cause delay. However, you can also reach Alibaug via ferry from Gateway of India. These run at regular intervals between the two places and take about an hour. From there, you can take a rickshaw to reach your hotel. When you think of adventure sports, Kamshet is one of the top places in India that comes to mind. Just 11 km away from Lonavala, Kamshet is a smooth drive away from Mumbai too and offers a range of activities that will get your heart racing. However, it has more than just adventure sports, there are also caves and temples in Kamshet. 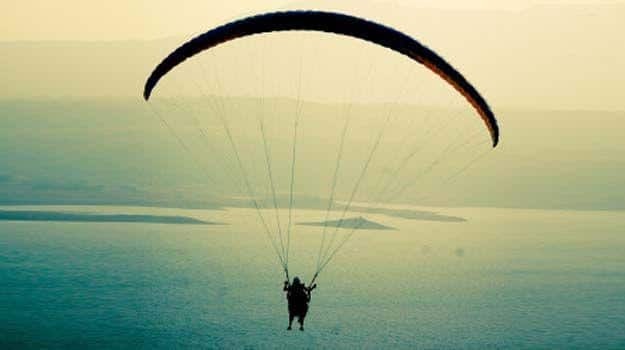 Where to stay: Many tour operators offer combo offers of stay and paragliding in Kamshet. However, it will be a basic room or tents so do not expect anything luxurious. Nirvana Adventures (+91 9323708809) offers stay and adventure packages. Pavna Hutss (+91 98903 57775) is another stay option in Kamshet. It offers activities and games in its property as well like mud bath, trampoline, volleyball, etc. Apart this it arranges sightseeing to nearby places. 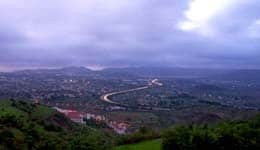 Things to do: Most people who come to Kamshet are here for thrill and adventure. You can try paragliding which gives you a glimpse of Lake Pavna, the countryside and the greenery around. 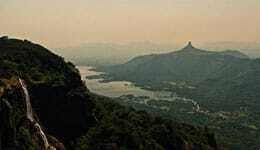 Trek to Tower Hill, Shelar or Kondeshwar Cliff is also an option from where the paragliding begins. You can also trek to Bhairi Caves where animal sacrifice is practised or pay a visit to Kondeshwar Temple which is in a forest and dedicated to Shiva. 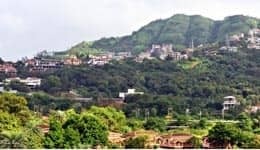 Tips to keep in mind: Many tourists book a stay in Lonavala where several accommodation options are available and drive to Kamshet for adventure activities. Since the distance isn’t long, you can consider doing the same too.